Water everywhere! 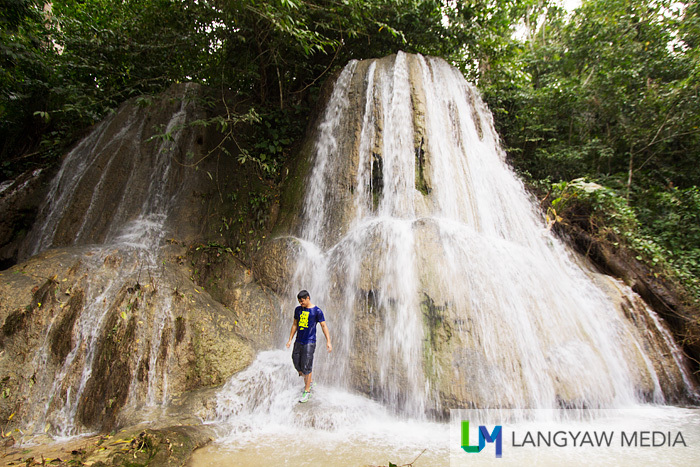 Engkanto Falls in Libmanan, Camarines Sur surely enchants! 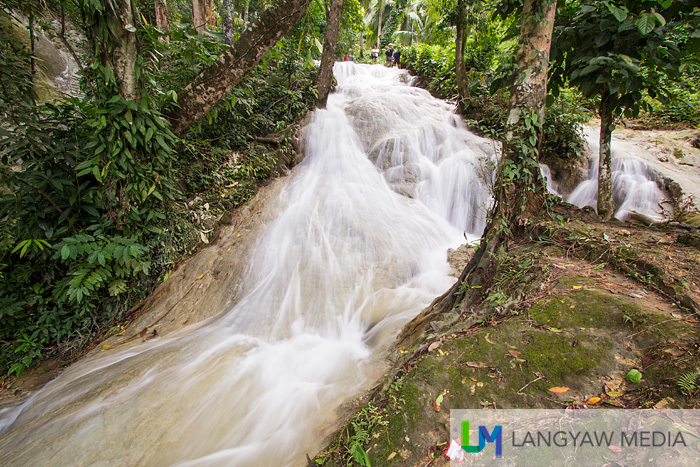 It was already afternoon when we arrived in Barangay Bikal in Libmanan, Camarines Sur embarking to explore a waterfall that has intrigued me ever since a friend, Wyne, of Naga Excursions, our host, told me about this one. 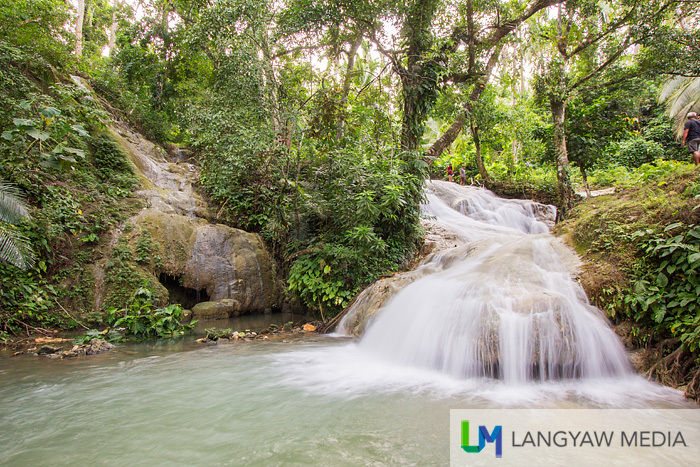 Engkanto Falls, said to be stunning and beautiful that it has stoked my curiosity and really made me travel all the way to Naga City from Makati. 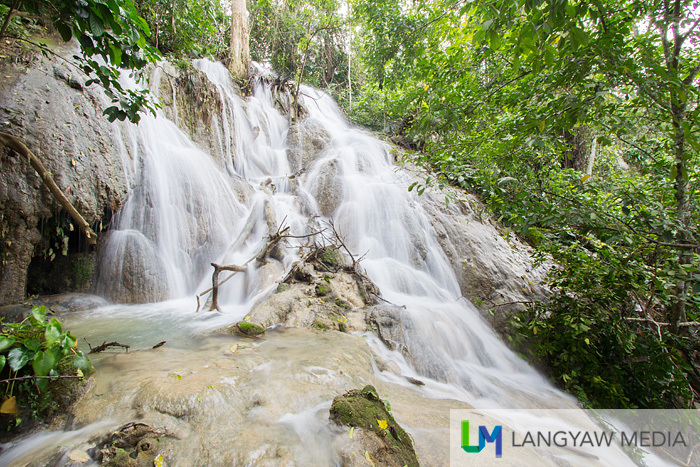 The trail was manageable, walking past a well trodden path, muddy at some points but when we did arrive at the first level of Engkanto Falls, I was stunned! Stunned because it was not your usual waterfall. 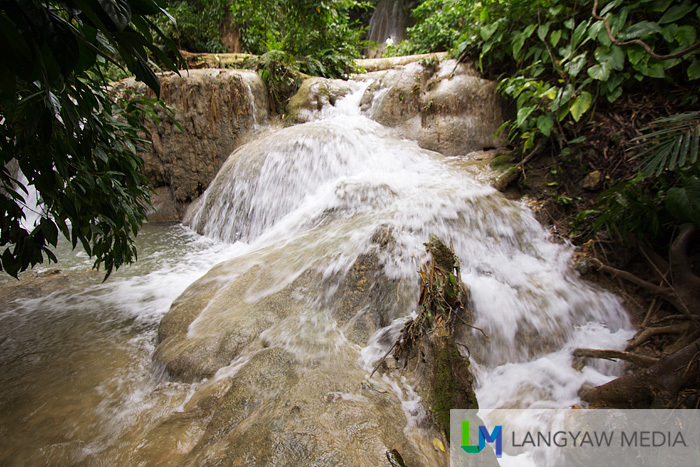 If you’ve been to Aliwagwag Falls in Cateel, it has some resemblance. 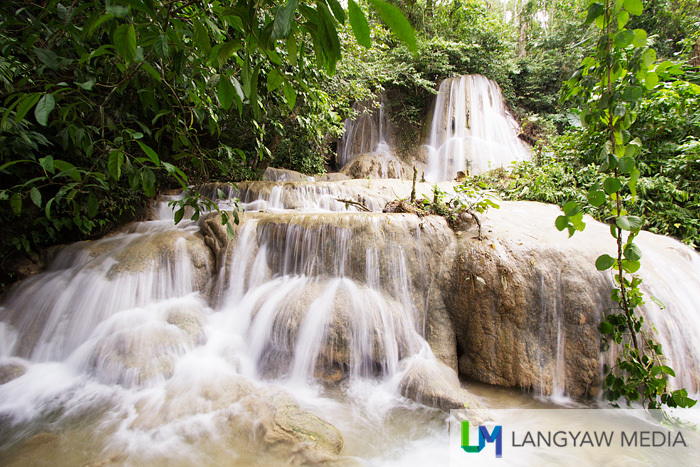 But think of it as a waterfall with several levels passing mineralized rocks and trees! Our guide motioned that we will trek against the waterfall, still several levels above. I was a bit hesitant but when I learned that the rock, even when wet wasn’t slippery, the same ones inside Sumaging Cave in Sagada, I got confident. With my camera gear and tripod, it would have been difficult. The water was fast and strong but I was able to go to around the seventh level. My lower body was already wet but I still managed to protect my camera gear. But we didn’t go up to the source, said to be a cave that is still 1.5 hours up of trekking. The water was just strong and it was already late afternoon. I was just entranced at the beauty of this waterfall. Not the usual steep drop and water was just everywhere. It was also a different kind of trek as we had to go against the flow which made the adventure more interesting. I was told that the waterfall has around five levels that are taller than fifteen feet and around twenty plus that are just around five feet high. It’s really interesting, easy to reach and great adventure. After the trek, I just have to dip into the cool flowing water and enjoyed a fresh buko juice and meat as well as Libmanan’s best product, the toasted siopao. The multilevel Engkanto Falls is just stunning! 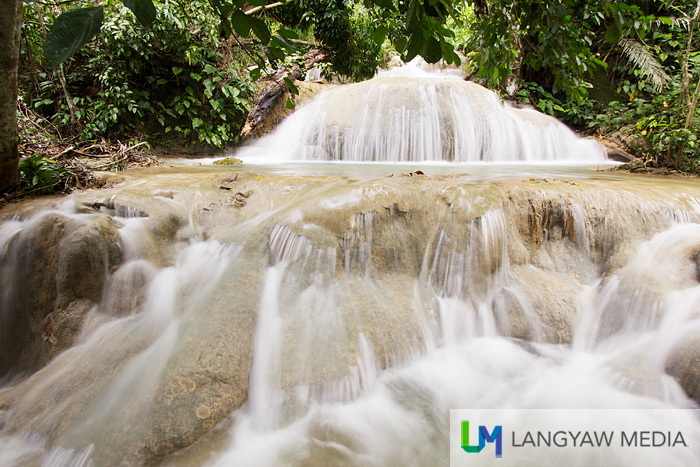 GETTING THERE: Engkanto Falls is found in Barangay Bikal, around 15 kilometers from Libmanan town proper. I suggest to coordinate with the Tourism Office at the Municipal Hall for proper guidance. Thanx to Arts, Culture and Tourism Office (ACTO) of Naga City for the invitation and arranging this trip. Check their website Naga X or Like their Facebook page. Want a coffee fix and more in Ozamiz? 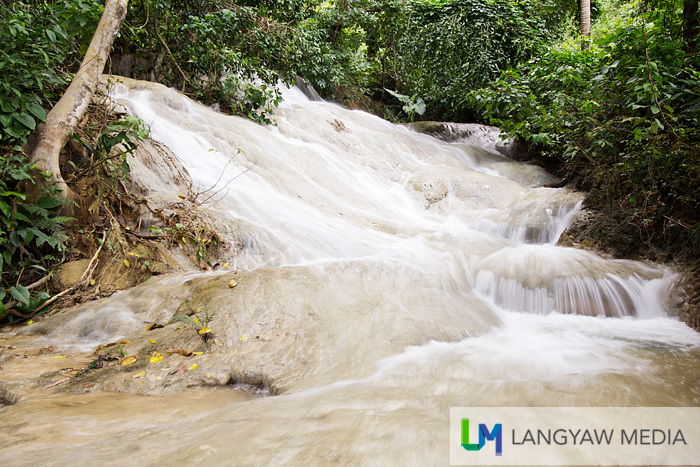 maganda talaga sa engkanto falls,hindi lang yung lugar pati mga tao mababait din. John Chester, I love that place! Lots of waterfalls! hello! sa mga pinsan ko,mama at papa ko sa bikal libmanan.mabuhay mga naval at damiano. i really miss the place…I hope on the next summer we can visit the falls.